The best Christian Homemaking blogs from thousands of blogs on Homemaking by top Christian bloggers on the web using search and social metrics. Data will be refreshed once a week. Christian Homemaking newsletter is a comprehensive summary of the day's most important blog posts and news articles from the best Christian Homemaking websites on the web, and delivered to your email inbox each morning. To subscribe, simply provide us with your email address. USA About Blog The Humbled Homemaker is a Christian homemaking blog that encourages women to pursue grace-filled, natural living in mothering, cooking, alternative health, and living on a low income. Facebook fans 564,547. Twitter followers 5,129. Charlotte, NC About Blog Imperfect Homemaker is all about christian homemaking, homeschooling, and natural living. Follow for inspiration and encouragement! Facebook fans 15,137. Twitter followers 4,440. Arkansas, USA About Blog Classical Homemaking is authored by a Christian wife and homeschooling mother to nine blessings. Her desire is to promote Biblical Womanhood and encourage fellow homemakers. She features delicious recipes, Biblical devotions, vintage and antique finds, crafts and DIY, and fun glimpses into the life of her happy family. Facebook fans 2,744. Twitter followers 4,414. Ohio About Blog The Peaceful Haven is an engaging lifestyle blog. Janelle blogs about life including homemaking, parenting, autism, gluten free living, health, finances,simple living all from a Christian perspective. Facebook fans 673. Twitter followers 1,226. About Blog We offer daily encouragement for women in the areas of faith, healthy eating, family friendly recipes, menu planning, gardening, parenting, and fun. Facebook fans 37,953. Twitter followers 1,271. Oregon About Blog Tauna is wife to a wonderful man, a Jesus follower and mom to five (loud, messy, amazing) beautiful children. Her goal is to encourage you and connect you with tools and resources to help you in your daily life. Facebook fans 14,752. Twitter followers 7,445. Pennsylvania About Blog On The Latina Homemaker blog, Jesenia Montanez has been sharing homemaking tips, frugal living advice, recipes and more. Facebook fans 5,904. Twitter followers 42,565. About Blog Marci Ferrell is a Christian wife, mother & grandmother who loves to share about her walk with the Lord, her passion for biblical womanhood and living all of life for the glory of God. She has been celebrating the joy, freedom and beauty of being a wife, mother and homemaker on her blog. Facebook fans 20,648. Twitter followers 1,507. About Blog The Titus 2 Homemaker blog deals with the nitty-gritty of life in the trenches as a Christian homeschooling mama attempting to live a healthful lifestyle. The blog offers commiseration, encouragement, and practical ideas rooted in what she is learning on her own journey. Facebook fans 3,843. Twitter followers 2,274. Northern Michigan About Blog Here on Happy Little Homemaker, you will find articles about the big 5 priorities in every Christian woman’s life — God/Catholicism, taking care of yourself, marriage, parenting/homeschooling and everything related to home management. Facebook fans 3,596. Twitter followers 2,529. About Blog Homemaking 911 is a place where Christian women come together to discuss homemaking, home education, and being a godly wife and mother. Facebook fans 2,031. Twitter followers 1,635. Tucson, AZ About Blog News Anchor to Homemaker is a Down syndrome blog that focuses on real-life inspiring special needs stories and parenting articles from a Christian faith perspective, written by Jillian Benfield. Facebook fans 8,570. Twitter followers 1,579. About Blog Hey there I am Esther! The author and editor (and photographer!) at Home Sweet Homemaking! I hope I can be a blessing as I sharing my life as a homemaker for God's glory! I am a friend, daughter, lover, listener, talker, and most of all, Daughter of God! About Blog If you are at the point that you know you need to be more focused at home, follow this blog. It provides biblical training for homemakers who desire to learn how to achieve and maintain joyful productivity. Jennifer has been a full-time homemaker for 24 years and counting. Facebook fans 7,987. Twitter followers 496. About Blog The author of this blog is a Christian wife, homeschooling mother and homekeeper. Her hope is to inspire, encourage and challenge women's thinking through her writings and viewpoints. About Blog Bree is a Jesus loving, organizing, constant re-arranging, decorating, thrifting, DIYing, crafting, stay at home Mama. 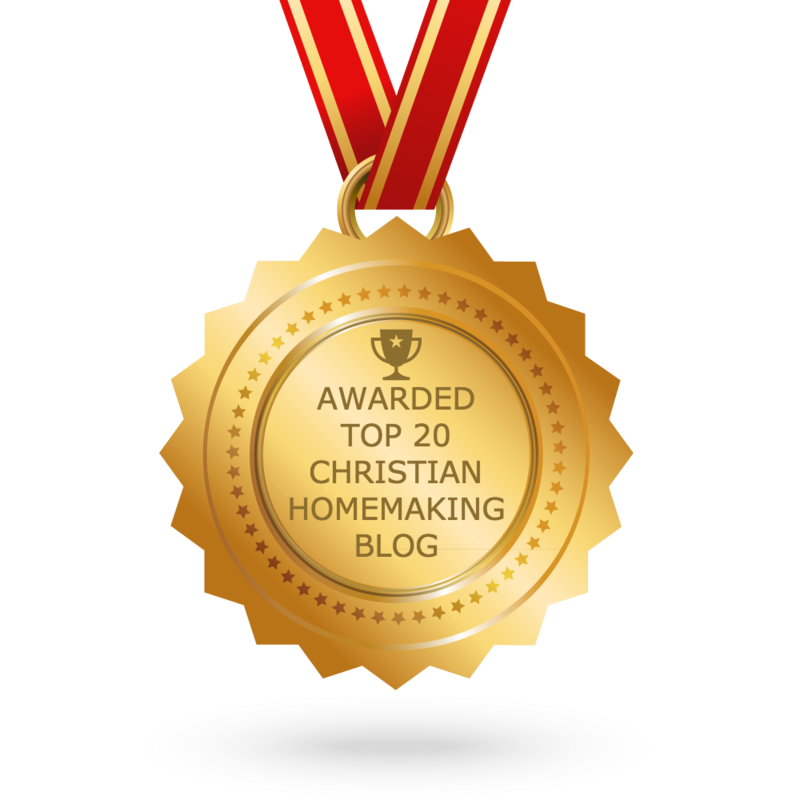 CONGRATULATIONS to every blogger that has made this Top Christian Homemaking blogs list! This is the most comprehensive list of best Christian Homemaking blogs on the internet and I’m honoured to have you as part of this! I personally give you a high-five and want to thank you for your contribution to this world.